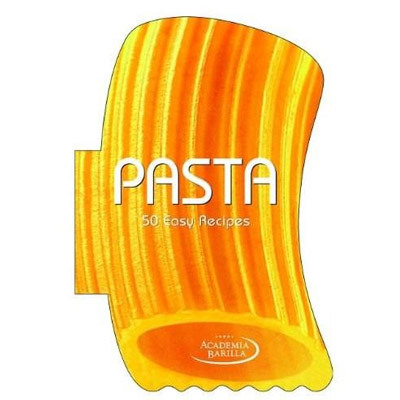 Academia Barilla, an international center dedicated to the diffusion of Italian gastronomy, has selected the 50 pasta-based recipes in this book. Some are typical of the Bel Paese cuisine and famous throughout the world, such as Penne alla Norma or Penne all’Arrabbiata, or the well-known Spaghetti alla Carbonara and Spaghetti alla Puttanesca, or the typical Bucatini all’Amatriciana and Bucatini Cacio e Pepe. But also justly renowned are Trofie al Pesto, Orecchiette con Cime di Rapa, and Linguine allo Scoglio. Still other first course dishes were created by matching the pasta to ingredients from Italian gastronomic tradition: cheeses such as Gorgonzola or Pecorino Romano; or cured meats, such as speck or Parma ham; or the traditional balsamic vinegar from Modena; or mushrooms; or sun-dried tomatoes... Always bearing respect and love for primary ingredients, and with great technique, following the simplicity that also becomes elegance. But above all, the desire to communicate and share all the convivial spirit of pasta.